With the beautiful Ohio weather, you never know if it is going to snow in April. It can be tough for coaches to find time to train when the weather is poor and so we wanted to offer an alternative to canceling training that would keep teams competitive and on top of their game. 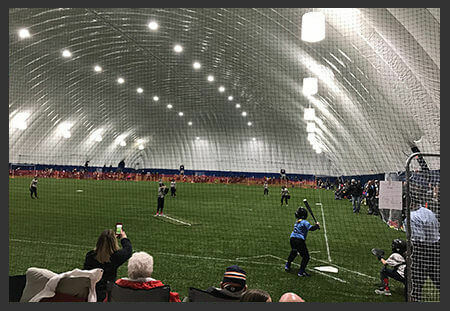 Our Dome is open year round and is the perfect solution to avoiding cancelations. Not only is the Dome great for athletics, but it would also be an excellent venue for any after-prom events, school raffles, special events, Birthday parties, conventions, and more.